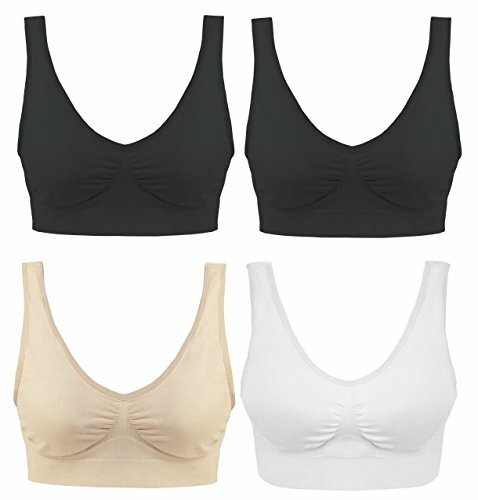 Two-lined special cup design combined with three dimensional tailor, tender your your breast into a smooth and supported shape. 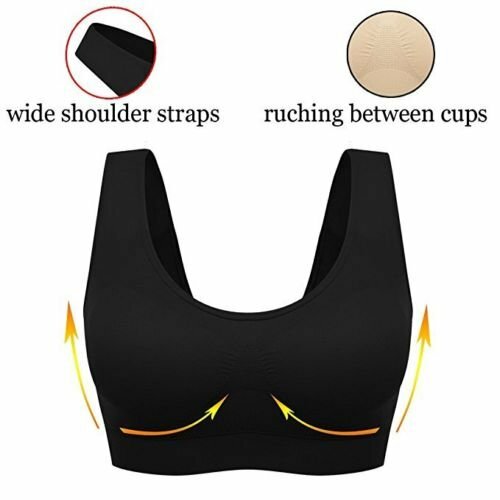 Thin and wireless cup design, reduce constriction on your breast, improving comfort. Wide adjustable front-cushioned straps, no digging, disperse pressure on the shoulder for extra comfort. High sides and full coverage shape cover your breast greatly, no spillage. Perfect formfitting and flat seams design, reduces maximum bounces during high impact sport. 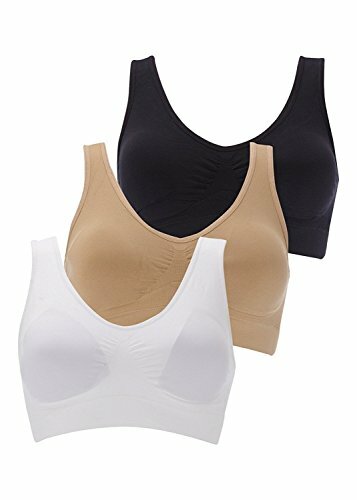 Category: Padded Comfort Bra.Tags: ahh bra, ahh bra reviews, Beauty Bra 3 Pack Seamless Comfort Bra, BOOLAVARD New Seamless Sports Bra, Boolavard Push-up Magic Bra Shaper, BOOLAVARD Women's Seamless Sports Bra Wire Free, genie bra reviews. It suits for the most kinds of sports. Especially for the high impact sports, such as, running, jumping, Gym, Tennis and so on. You can also find your suitable size easily because of the plenty size options(size from 34B-48G). Keep your good body from a perfect sport bra. Lightweight and quick dry material wicks moisture away from your skin. Mesh panel in the front, prevent the accidental exposure. Make you breathable and keep your skin cool during sport. 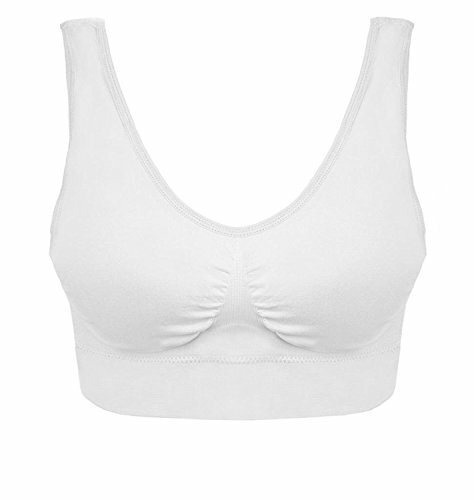 This sport bras is especially designed for the Medium and High Impact Sport. Such as: Running, Tennis, Volleyball, Racing, Jumping, and aerobic exercise. BOOLAVARD 3-Piece Set Comfort Sport Bra: White, Black and Skin Colour.